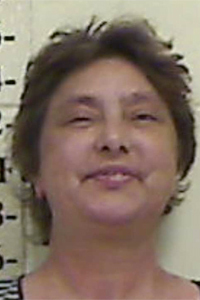 WARREN, Maine — Before Mary Hoskins stepped into prison to begin serving two years for arson, her attorney knew it was a life sentence because she had terminal cancer. Mary Hoskins, 50, died Thursday, exactly one week after she entered the Maine Correctional Center’s Women’s Center in Windham. Hoskins died of natural causes and her death was reported to the state medical examiner, according to the Maine Department of Corrections. According to Scott Burnheimer, superintendent of the Maine Correctional Center, Hoskins was sent to his prison on Thursday, Nov. 10. By Wednesday, Nov. 16, she had become ill and Burnheimer’s staff sent her to the infirmary at Maine State Prison in Warren. She died early the next morning. Hoskins had just begun serving two years for arson in connection with a fire that was set in September 2008 at the North Anson mobile home of her son Neal Hoskins, with whom she was living at the time. Police accused the two of setting the fire to collect insurance money. Neal Hoskins pleaded guilty two months ago to the 2008 fire and was sentenced to 10 years in prison with all but two years suspended and four years of probation. Mary Hoskins, who also had been found guilty of arson for a 1998 fire at her home in Salem, Mass., was convicted for the 2008 fire and sentenced to eight years with all but two years suspended. She started serving her sentence on Nov. 10. During a hearing on the 2008 arson charge in October in Somerset County Superior, Mary Hoskin’s lawyer Andrew Ketterer told the judge that Hoskins was in the terminal stages of ovarian cancer and only had six to 12 months to live. Holding in her in custody would be a life sentence for her, he argued.